In Eastern traditions, Zen is often defined as a total state of focus, a merging together of body and mind. It involves dropping illusions and seeing things as they are in the present moment. Based in Tel Aviv, Zen Protocol recognizes that starting in the “here and now” is vital to innovation and progress. Its mission? To create a platform that allows anyone in the world find and use financial products in a highly secure manner. 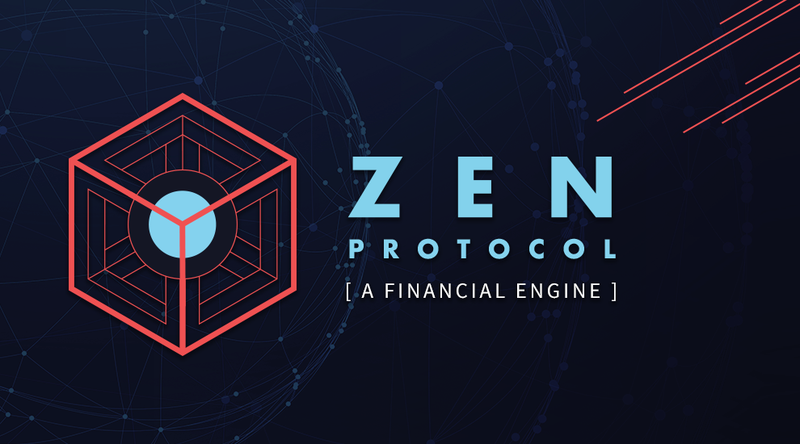 Zen Protocol’s eclectic team of developers and crypto veterans aims to assist Bitcoin in sustaining its dominance while allowing it to capitalize on advancements that boost adoption. In pursuing this quest, the company has made liberal use of beta testers — a move that runs counter to the prevailing approach in much of the world of blockchain technology, where projects all too often hastily toss up a website and white paper before demonstrating a viable product. At Zen, 2017 has been about erecting a new blockchain to fuel a marketplace that allows bitcoin holders to issue, trade and invest in stock options, futures, digital currencies, exchange-traded funds, exotic derivatives, contracts for difference and other financial instruments. This project is predicated on the Zen blockchain functioning in parallel with Bitcoin in what is typically known as a “sidechain.” This opens up a bevy of opportunities for Zen to curate its platform, independent of any changes to the Bitcoin protocol while simultaneously being able to integrate its own set of modifications to fuel its innovative process. The primary value proposition of the platform involves the facilitation of complex financial agreements through the use of smart contracts. This can be seen as a major breakthrough given that Bitcoin doesn’t natively support smart contracts — a major reason why the majority of blockchain app projects are launching on Ethereum instead. Through the creation of this sidechain-style model, Zen is able to pay Bitcoin miners for executing contracts without creating a competitive scenario with Bitcoin for computational resources. Zen, therefore, sees itself as a complementary solution for Bitcoin which helps it scale and offload some of the transactional demand from the Bitcoin chain, which often struggles with high transaction costs and sluggish transactions. A Viable Alternative to Ethereum? Through the strategic execution of its ambitious roadmap, Zen aims to usher in a new era for smart contracts using the Bitcoin blockchain — a space where Ethereum has, to date, shown a dominant presence. On Ethereum, all smart contracts, in order to execute, need to use what is known as “gas.” When this vital resource is depleted, contracts may stop before they finish executing — a frequent source of frustration for both users and developers. Zen’s smart contracts, on the other hand, always execute without stoppage, never utilizing more resources than required, thereby eliminating the need for gas entirely. Further, Zen lets miners check the computational resources needed for a contract before running it, allowing for more rapid contract execution than on Ethereum. The Zen team is also making headway in how smart contracts engage with the real world. One major sticking point with the current iteration of smart contracts is that they exist in a walled garden on the blockchain. This prevents them from capturing external data on their own. External data feeds, known as “oracles,” are key to assessing the outcome of real-world events and to resolving any disagreements that may surface. By way of example, say a person wants to pay for auto insurance for a long-distance trip from Point A to Point B. A smart contract can set up for that date, with the projected mileage and other key information. Then one or more oracles could be set up to facilitate the exchange of information to the smart contracts with any payout predicated on any agreed upon conditions (such as a qualifying accident) being met. Zen’s oracles can run at a profit, without taking up too much space on the blockchain. As a critical next step in its progression, Zen Protocol recently announced that its highly anticipated token sale will commence on November 30, 2017. This token is required to switch on smart contracts in the system, but participants can make transactions and use contracts with their bitcoins or other assets, without using any additional tokens. One advantage of Zen’s contract system is that the assets which contracts make don’t need the “native” Zen token to spend or send to other participants. “At the end of the day, we believe that people have a right to own their financial assets, and we feel a responsibility to provide people with the necessary tools to empower themselves,” said Adam Perlow, CEO of Zen Protocol.